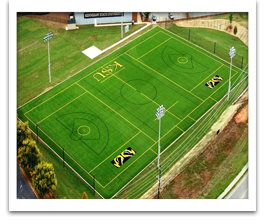 Genesis Turf is both a company and brand name that represents the highest quality and craftsmanship in the artificial turf industry. Being a worldwide supplier of synthetic turf has allowed the Genesis Turf name to grow not only with popularity but with trust in our products. 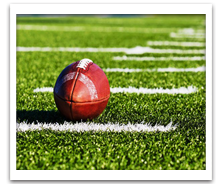 While the Genesis Turf brand name has existed for commercial and residential applications for only the last decade, our line of artificial turf products have been manufactured and distributed since the 1980's to professional and collegiate organizations around the globe. At Genesis Turf we do not see ourselves as a low cost or low end provider in the industry. As a matter of fact we can probably point you to a dozen or more low quality low end providers of synthetic turf. At Genesis Turf we pride ourselves on producing high quality, high durability artificial turf with a industry leading quality control program. By choosing Genesis Turf you are guaranteed the best turf and best value for your money. 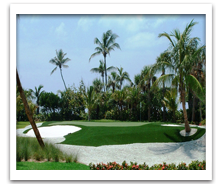 Synthetic turf for sports, landscape, golf or leisure, we offer products best suited for your application. Call us today and find out why Genesis Turf is the fastest growing name brand in the industry. Looking for a turf to match the look and feel of a natural tee box? With Genesis Sport Artificial Golf Turf that is exactly what you get. Our custom-designed golf mats are the closest to the real thing and provide year-round durability that real grass simply can’t match. Looking for Golf Green, Fringe, Fairway, and Rough turf? We offer it all. Genesis Commercial Football Field Turf offers No mowing. No fertilizers, and No water. That’s right; Genesis Artificial Football Turf is practically maintenance-free, edge-to-edge. You will make a great first impression on everyone who visits your facility and your team will always be on top of their game with pro field performance. When it comes to players, safety is paramount. Most injuries occur as the result of dives and falls on surfaces that are abrasive or worse, just unsafe. 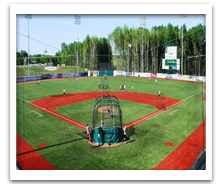 Genesis Artificial Baseball Turf is the safest turf surface anywhere. 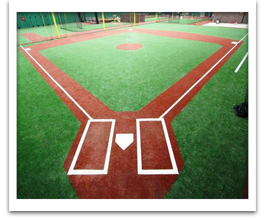 Whether you are looking for turf fit for the majors, minors, or little league, Genesis Sport has the product to match perfectly with your needs. Genesis Sport has invested in developing the ideal system for soccer by incorporating natural ball performance into all of its Artificial Soccer Turf Products. This allows for optimal energy return for players, and top safety features. 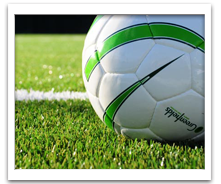 All Genesis Sport Artificial Soccer Turf exceeds all safety specifications putting players first! Genesis Sport Tennis Court Turf incorporates the latest technology and fiber systems in the industry to provide an unsurpassed tennis court surface. 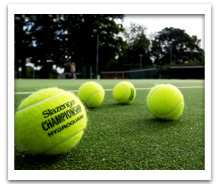 Our advanced tennis court turf alleviates impact stress on the body attributed to playing on a hard tennis court surface. 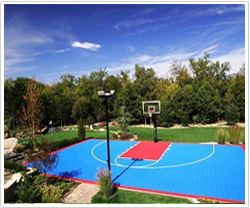 Genesis Artificial Tennis Court Turf eliminates maintenance required by asphalt tennis courts. 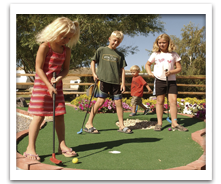 Genesis Sport Artificial Mini Golf Turf is perfect for miniature golf courses and all golf applications including backyard artificial putting greens and professional golf greens. Our artificial turf looks just like the real thing and plays even better. We give you perfect conditions at the golf mat for every shot. With the most realistic golf surface on the market, we provide an aesthetically pleasing and fun environment to play on. The fast-draining, open-grid surface of Genesis Sport Court Tiles makes it an ideal choice for home or commercial practice courts. Our patented, six-point locking system keeps tiles flat for clean, consistent ball bounce. Plus the heat-reflective design makes our surfaces far cooler than asphalt or concrete. And this is just the beginning of our product line. Check out the rest of our site or call us for help with any size field, mat, facility or sport.